No outfit is complete without proper accessories. Thankfully, today’s wearable technology is as beautiful and versatile as it is functional. Whether you’re going for an evening jog, tackling a tough project at work, or hitting the town with your best friends, your smartwatch or fitness band can match your personality in the moment. These highly personal devices might even be more essential than your handbag: they’ll help you tell time, send you calendar alerts, keep you on track with your fitness goals, and help you connect with friends. With a range of styles, colors, and functionality, there’s something for everyone. Big Apple Buddy offers international shipping, so you can enjoy your wearable of choice anywhere in the world. You like to be on the cutting edge of fashion and technology. You’re always on the go and hate juggling your watch, smartphone, and fitness device. You want something stylish enough to wear every day that packs a punch. 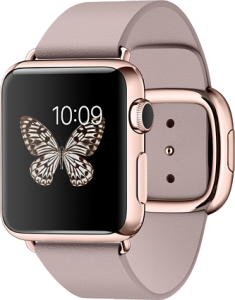 For the social butterfly on the fly, the Apple Watch is for you. You’re the girl who wants it all. You want to keep track of your health and lifestyle and love the call and time-keeping features of a smartwatch, but don’t need all the bells and whistles (or the price tag that comes with it). 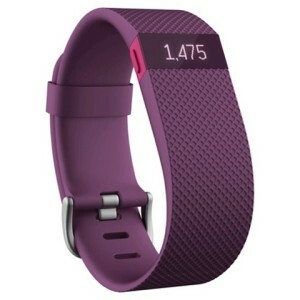 The Fitbit Charge HR offers the best of both worlds. After all, a woman should never have to compromise. Full-service application with wireless syncing to review workout summaries, progress reports, and health overview. Purchase your very own smartwatch today! Ready to buy? Contact Big Apple Buddy for a free shipping quote. We ship to over 220 countries including Canada, the UK, Australia, New Zealand, Hong Kong, Malaysia, Mexico, Germany, France, Spain, Singapore, Indonesia, Saudi Arabia, Brunei, South Africa, Portugal, Malta, Norway, Denmark, Estonia and more. We’ll get you the wearable technology that fits your lifestyle in no time!